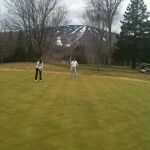 Skiing at Stratton ended early with all the warm weather and the Stratton Golf Course opened April 16th. 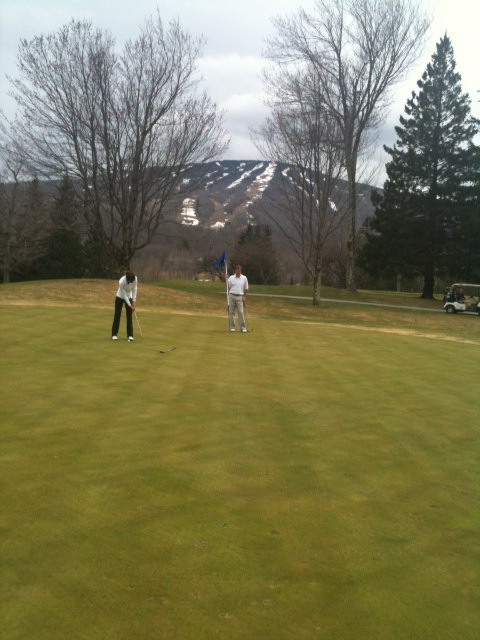 This is the Mallia family on Forest 9, warming up their game for a great summer of Stratton golf. If you are a yogi, the Wanderlust Festival, the one-of-a-kind yoga and music festival set within the nation's most inspiring natural scenery makes its return on the East Coast at Stratton Mountain, June 21 to 24. Our staff of rental agents will be happy to find a nice rental retreat should you wish to attend and stay in a hotel. I have been a part of a nationwide chat about vacation real estate. Our market has become very active with people looking at homes, condos and all price ranges. Ski areas in Colorado to California are all experiencing a similar upturn in their markets. Summer provides lots to do here at Stratton as well as great skiing. Come visit and let us show you around.